يضمن فندق Bavaria Bed & Breakfast Hotel الذي رمم في 2011 لزائريه قضاء وقت ممتع في هذه المدينة الخلابة سواء جاؤوا في رحلة عمل أو سياحة. يحظى هذا الفندق ذو 3.5 نجمات بمكان ممتاز يسمح بالوصول إلى المعالم السياحية الأكبر في المدينة، فهو يبعد مسافة 3.5 KM عن صخب المدينة. يشكل هذا الفندق ملاذاَ مريحاً للاسترخاء ويمنح زواره فرصة للاستجمام والتجدد، وهو يقع على بعد خطوات من المعالم السياحية الكثيرة للمدينة. في Bavaria Bed & Breakfast Hotel غرف نوم يزيد عددها عن 11 صممت بذوق وعناية لتوفر لك كل وسائل الراحة . بعضها يحتوي أيضاً على تلفزيون بشاشة مسطحة, اتصال لاسلكي بالإنترنت, اتصال لاسلكي بشبكة الإنترنت (مجاني), غرف لغير المدخنين, تدفئة. سواء كنت من محبي الرياضة أو كنت تتطلع لتفريغ عناء نهار صعب، ستجد خدمات ذات مستوى عالي بانتظارك كمثل حديقة. إن Bavaria Bed & Breakfast Hotel هو خيار ذكي بالنسبة للمسافرين، فهو يوفر إقامة هادئة ومناسبة للاسترخاء. Charming place on a bus line. Many restaurants nearby. Staff generous and helpful. Breakfasts good. Lovely overall. Perfect location, friendly staff, convenient parking, and very good price! Nice BB in a nice, calm area with lots of good restaurants. It’s a bit run down but clean and good value for money. Very nice staff and perfectly cooked poached eggs for breakfast. Very nice service. Good for Chinese. Friendly staff. Very helpful. I was just there for the one night and would stay again. Shame no tv in the rooms though there is one in the lounge. Owner was great, but staff that checked us in the day before were efficient but not welcoming, as one would expect from a B&B. Good location, easy to take bus into the city. Value For Money This isn't the most expensive place but neither is it the cheapest B&B around. The standard room is small, the bathroom even worse. The size of the bathroom is about 2 feet X 3 feet which i had bang my elbows onto every wall of the bathroom when i showered. If i sit on the toilet, my legs were stepping inside the shower area - that is how small it is. I paid for breakfast but the disappointing thing was that the so called 'buffet counter' only consists of cereals, mix fruits and bread. They only offer you sausage, eggs and beans as extra and have to order with them. 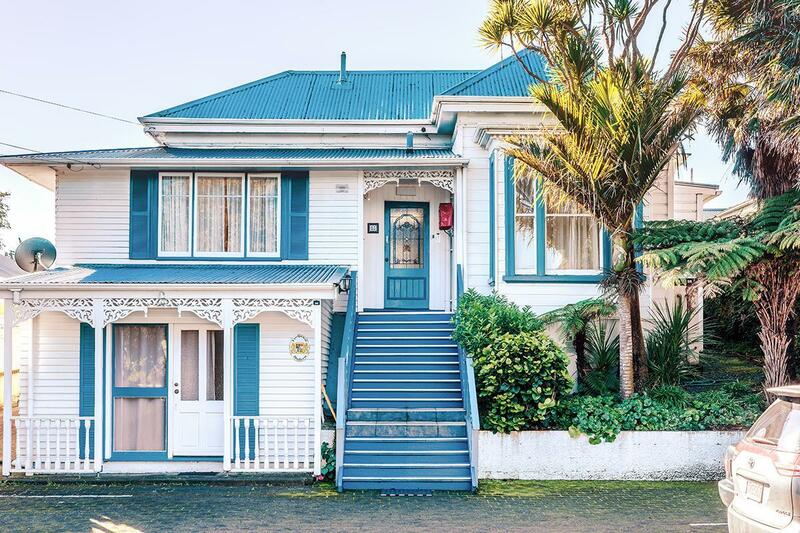 Location If you have a car, then it is convenient because the nearest train station (Mt Eden) is about 20 minutes walk away. The bus stop is nearer if you know what bus to take but definitely not convenient for tourist. However, down the road about 3 minutes walk, there are rows of shops where you will find eateries, hypermarket and some other stuff. Facilities There is NO TV in the room. Not even water boiler. So, i had to go to the living room in the middle of the night to get water from their tea counter. Staff Staffs are in general okay but when i asked the owner where can i find the night market she didn't know where is it and can't tell me what the attractions around that i could go visit. Seriously? You run a B&B and you don't know the places to go around? Cleanliness I must say that the cleanliness is good though, all the way from the room to the washroom, the living room and the kitchen. And yes, there is free WIFI. Just that the connection isn't always the best. Nope, even if i visit Auckland again, i will not choose to stay here. The location is excellent, with a supermarket, grocery, and pubs nearby. Mount Eden is behind if you fancy hiking up for a view of the surrounding and to catch sunrise or sunset. Room was clean and comfortable, with friendly staff. Would recommend staying here. Complete with breakfast, friendy stuff & location. Overall great,except for the bath room is too small and the breakfast portion was a little too small in portion.